Welcome to Checking Back with Zac. If you are reading this, chances are you already know a lot about this special little boy. If you don't, I would like to tell you a little about him. 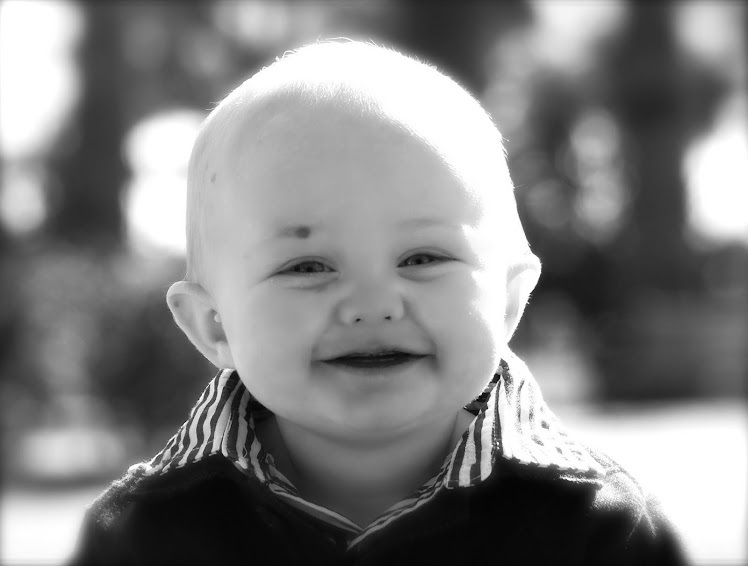 Zachary James Moller was born May 1st, 2010 with a condition called Giant Congenital Melanocytic Nevus. This very rare condition affects only 1 in 500,000 so I guess you could say he's one in a half-million. Four weeks into the 8th round of expansion and Groundhog Day is upon us... The slight cough, the fever, the extra hugs for mommy. The sound of light sleepless moaning and coughing coming from down the hall as I sit here and put my feelings onto virtual paper. Worse than your common cold, I know it well... it is most likely an infection or perhaps a virus waiting to turn into one. I am exhausted. Not just physically. I know tomorrow we will be placed on precautionary antibiotics that we most likely will endure for the next 8 weeks. My heart, soul, and very being are so tired of going through this with my little man. Though we are veterans, though we are close to the end, this is the steepest part of the hike. The part where exhaustion sets in, the part where you wonder if you were crazy to climb this mountain in the first place. Sure, the view is breathtaking to see how far we have come... but it is not quite the money shot at the top of the peak. This road is narrowing and the friends who traveled with us before are even at the top of the peak enjoying the view...yet we are not. We are still climbing, braced with what we need for every expected pitfall. There is one thing I know for sure. Some things are better with time...wine, cheese, Tom Selleck...but the process of tissue expansion is not one of them. Two fills under our belt and we have had to stop until we can get this illness under control. We go to lengths to prevent this. Birthday parties at Chuck E Cheese, after school events, bounce houses are all a normal 5 year old's luxuries that Zac has to give up in this 12 week period. This year we have a new obstacle....kindergarten. 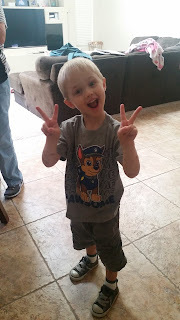 Zac loves school and his teachers do everything they can to keep him away from illness and when it does strike, I know he will be missing out on one more thing he loves. Please pray for my little guy's health. He has the most amazing spirit and joyful heart. Please pray that God gives us the strength we need to keep the pace, stay the course, and appreciate our own journey. For information on where to send a check or if you are interested in purchasing multiple copies of Zac's Treats & Zesty Eats, please contact me by email at amoller@cox.net to save on shipping. THANK YOU SO MUCH for your support!! BUY A COOKBOOK! SUPPORT ZAC! Do You Shop On Amazon.com?? If you do, please consider following these instructions and Amazon.com will do the donating for you. If you go to www.nevus.org and click on the Amazon link on the right-hand side of the page, you will be directed to Amazon.com where a portion of your sale will go to Nevus Outreach, Inc. to help fund research for this rare medical condition. My husband Bruce and I live in Phoenix with our two amazing children who both share the same birthday four years apart. MollerFamily. Awesome Inc. theme. Powered by Blogger.